Kaduna state governor, Mallam Nasir el-Rufai, has commended Kaduna people for massive turnout for the Presidential and National and Assembly elections. 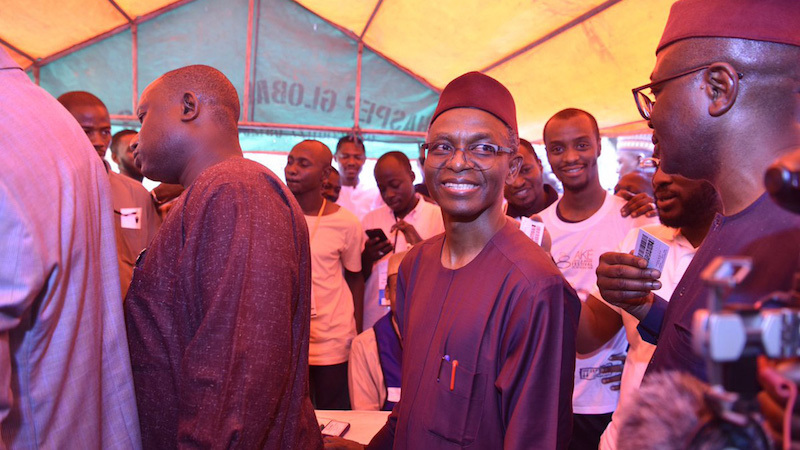 el-Rufai who voted at about 1:20pm after waiting on the queue for over four hours before casting his vote at his Angwan Sarki polling unit, also commended the people for their patience inspite of the late commencement of voting materials. He said so far the election had been peaceful as there were no cases of violence. He called on the Independence National Electoral Commission (INEC), to address the challenges being faced in the next elections. Also former Vice President Namadi Sambo and his wife Amina who voted at the Swimming Pool Road, Police College, Kaduna, commended the high voter turnout and the peaceful conduct of the elections so far. ‘I am pleased with the turnout of people to vote, and l am also happy with the orderliness of the process. I pray we have peaceful exercise”, Sambo said. Angwan Sarki, unit 021, Kaduna North Local Government area, said he was not happy as the election process was delayed for hours. He however, said “the process so far, went on relatively well as there were no reported cases of violence so far and we are grateful”. “It has stated well but it is too early to start commending INEC. 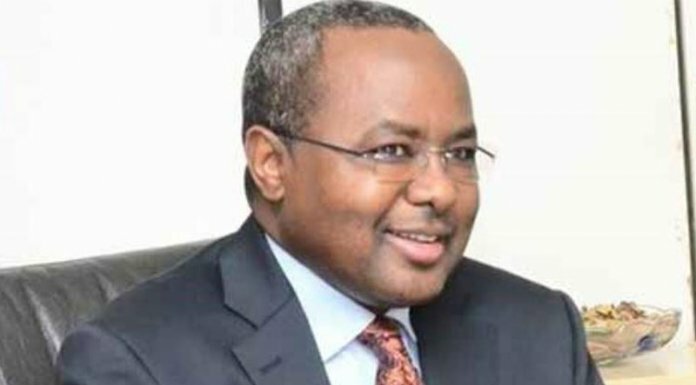 Our concern is mainly in the rural areas where there are security challenges and people may not be able to go and vote,” he said. Sani urged Nigerians to vote with their conscience adding that they should “vote people that will be committed to the unity of the country and not those who will divide Nigerians along ethnic and religious line. Although there was massive turnout of voters, there was late arrival of voting materials at most polling units within Kaduna metropolis. In places like Sabon Tasha, Barnawa, Narayi High Cost, Kawo area, Romi, Tudun Wada, among other places, voting either started by 11:00am or 1:00pm. Sani Abdulfatai, spokeman of the INEC in Kaduna could not be reached for comment, but an official of the commission who pleaded anonymity because he is not authorised to speak with the media, said the delay was caused by sorting out the election materials. “We needed to sort out the materials to ensure that they are talking to the right polling units and that caused the delay in some polling units” he said.